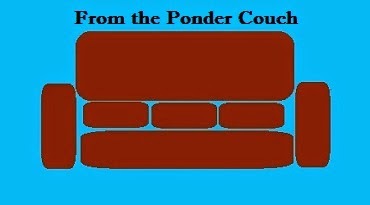 From the Ponder Couch: Bumper #2! This one turned out a little better and a bit more like classic Nickelodeon station identification bumpers! I'm planning to make a bunch of these. I will eventually make as compilation video, but for now I'll make a playlist. Someday this blog will have enough followers or I'll be famous enough that I'll be able to make other people make stuff like this for me, and make better.